With the versatility of Grey but with a pop of shine, our Wedge Pons Avarcas in Metallic Silver can seamlessly fit into any wardrobe. 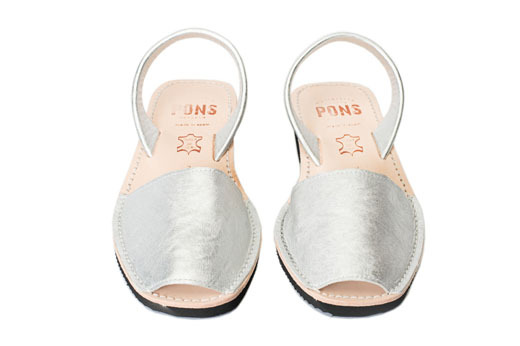 Our Pons sandals are produced with high quality natural leather, have a lightweight rubber sole featuring a heel height of almost 2 inches, and each pair are handmade on the Spanish island of Menorca. These bright metallic beauties can match denim, dresses, skirts, and be that extra sparkle desired during holiday season.